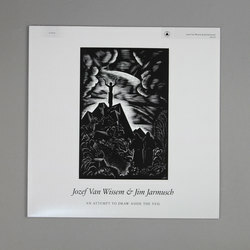 Jozef Van Wissem and Jim Jarmusch - An Attempt to Draw Aside the Veil. Vinyl LP, CD. Bleep. 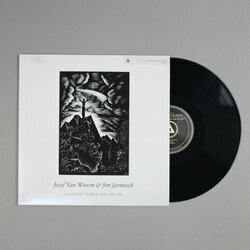 An Attempt To Draw Aside The Veil is the second collaborative LP between flute player Jozef Van Wissem and celebrated film director Jim Jarmusch to be released on Sacred Bones. The successor to 2012’s The Mystery Of Heaven finds the pair digging even deeper into the brutalised drones that have so often backboned their work. The manner in which Jarmusch draws an array of dark and portentous hums from his guitar is reminiscent of Sunn O)))’s doomy vistas. While Van Wissem’s lute at times rings loud and clear amid the mix, at other points it is folded in with Jarmusch’s monolithic soundscapes. 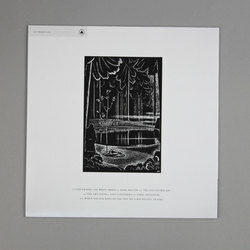 An Attempt To Draw Aside The Veil is an eerie listen, but one worth getting to know.